I’m actually really glad that I spent the last week or so working on this MD-11 template, because it has reminded me just how much I’ve always liked this big McDonnell Douglas three-holer. I’m pretty sure that it all started way back in the 1980s with the DC-10, because I vividly remember drawing pictures of them during class and getting in trouble for it. It was totally worth it though, because drawing was the only thing that could hold my attention and it was also a perfect way to let my crazy imagination run loose. I occasionally added missiles and machine guns to the bottom of the wings, and seriously considered writing McDonnell Douglas a letter to propose the idea of a top-secret fighter version. Back then, I was totally convinced that was a brilliant idea. But now, 30 years later, I’m starting to think my obsession with the A-Team and Blue Thunder on TV greatly distorted my perception of reality. Wasn’t 1980’s television awesome? 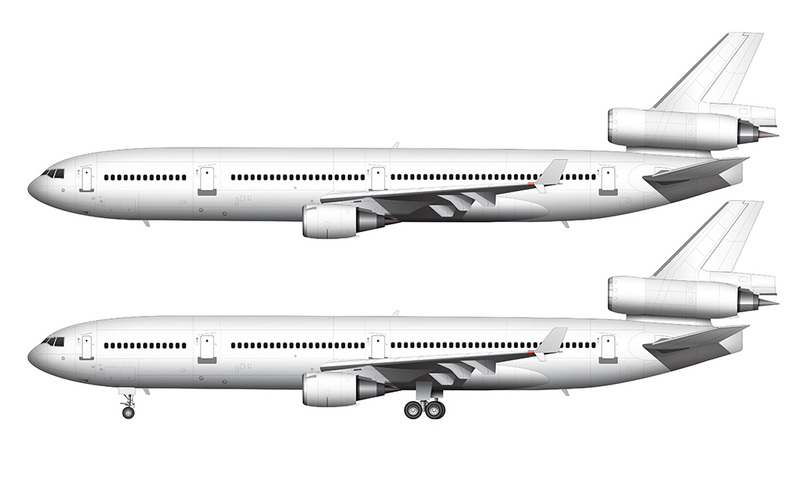 Interestingly enough, the DC-10 was the very first aircraft template I created way back in 2012. I can’t quite recall exactly why I wanted to start illustrating airplanes, but starting with the DC-10 was the obvious choice since it was one of my all-time favorites and I thought it would be fun to see if I could do it. I did it of course, and the rest is history. 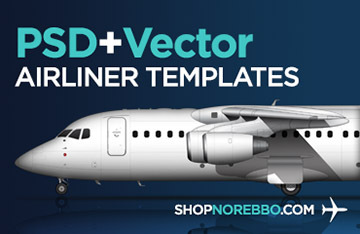 Unfortunately, since it was my first ever aircraft template, there is a lot that is wrong with it and a big part of me has been wanting to go back and redo the entire thing to bring it up to my current standards. 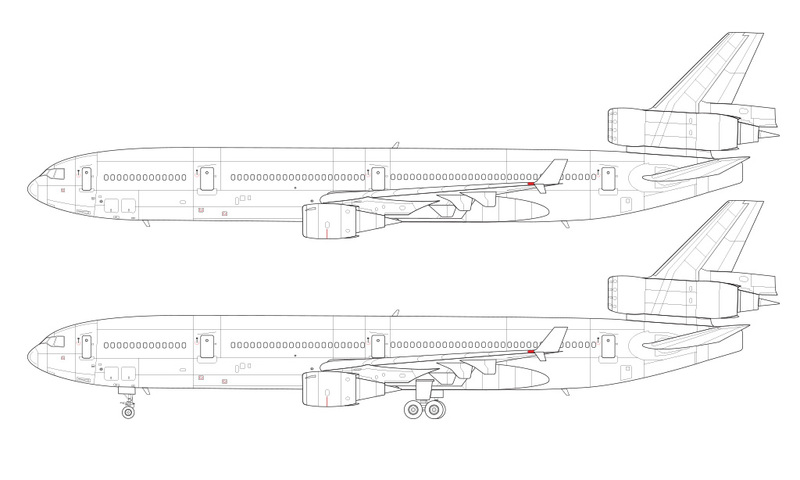 It’s been on my mind for a while now, but it all came to a head last week when I tried to base this MD-11 template on that old illustration. It wasn’t until I started modifying that old DC-10 that I realized that there was too much wrong with it and I was going to have to start over from scratch. The new engine options necessitated a slight redesign of the number two engine housing attached to the vertical stabilizer. This actually started with the DC-10-40, but it carries over to the MD-11 as well. 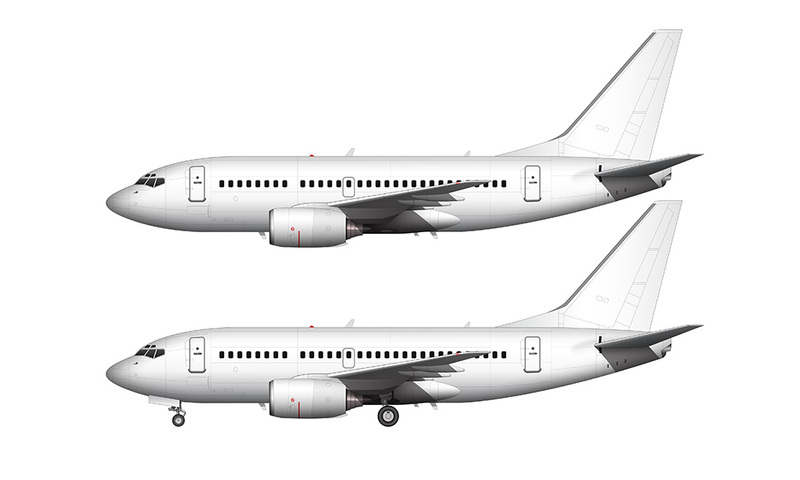 There are also a huge number of other little minor visual differences, such as the size and location of the smaller aerodynamic fins on the top and the bottom of the fuselage. Access panels and sensors (such a static ports) are also quite different compared to all DC-10 versions. The landing gear is slightly different as well but visually it’s almost the same.